Cristiano Ronaldo has continued his celebrations after Portugal’s Euro 2016 triumph in style by spending 2.5 million euros on a new Bugatti. 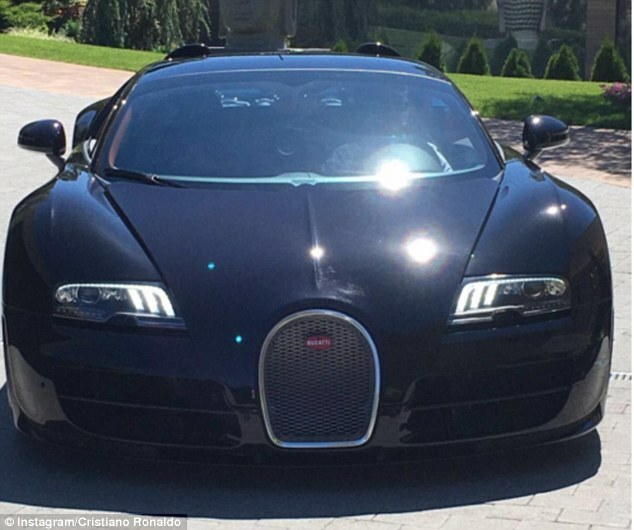 Ronaldo in his new Bugatti The 31-year-old showed off his new purchase on social media and, despite not being able to enjoy it just yet, Ronaldo shared his happiness for having receive his new toy. “The animal has come,” he said. Very few units of the Bugatti in question have been produced and were only available upon request, so it’s likely Ronaldo had been waiting weeks to receive the car. The cost of the vehicle goes far beyond the sale price. Some specialised websites did the breakdown of what the final cost to the Real Madrid star will be: Car Price (without tax): 1,600,000 million VAT (35.75%), 700,000 euros Vehicle Registration Tax in Madrid: 230,000 euros.